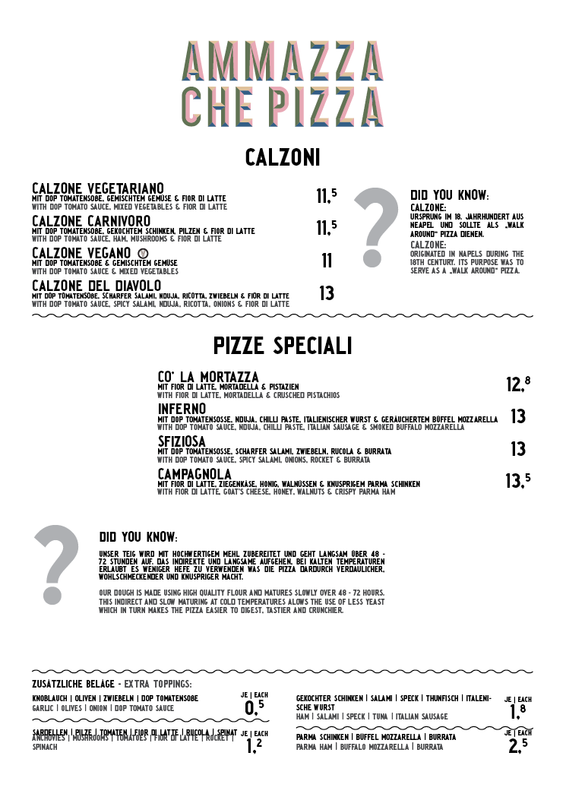 Roman style pizzas hand made, 48 – 72 hours slow-proved dough, topped with traditional artisan high quality ingredients. 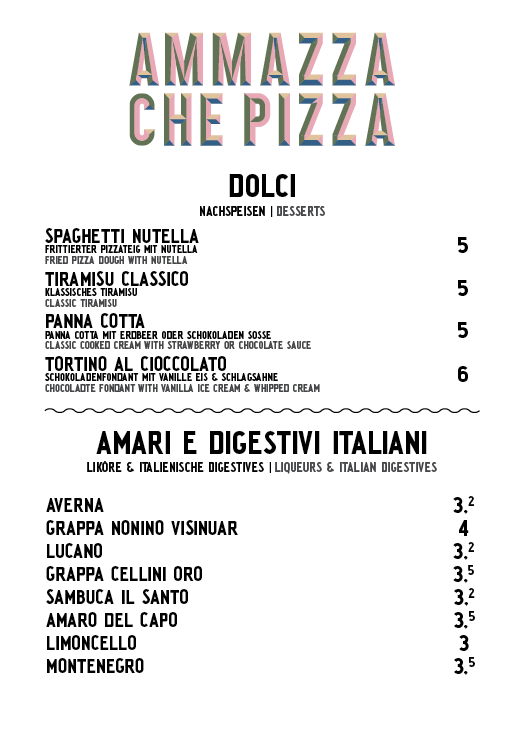 The menu also offers Italian favourites, antipasti, home made pasta and classic desserts with seasonal specials. 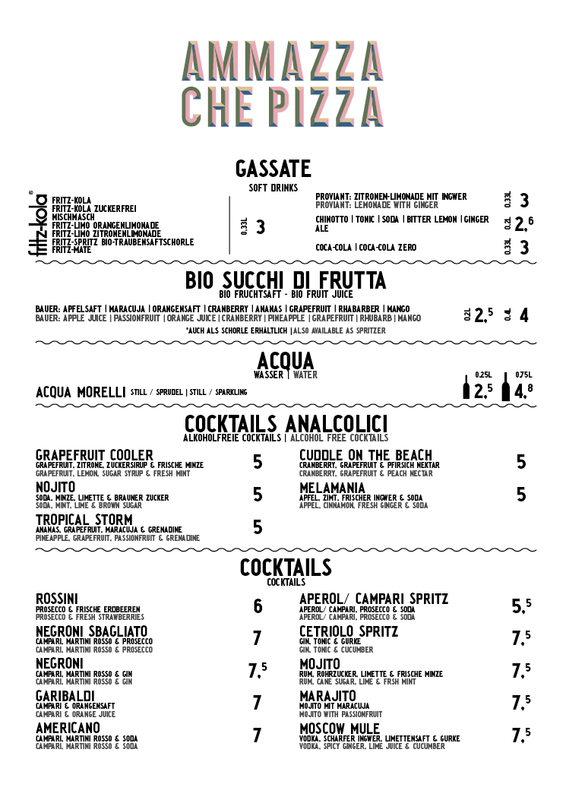 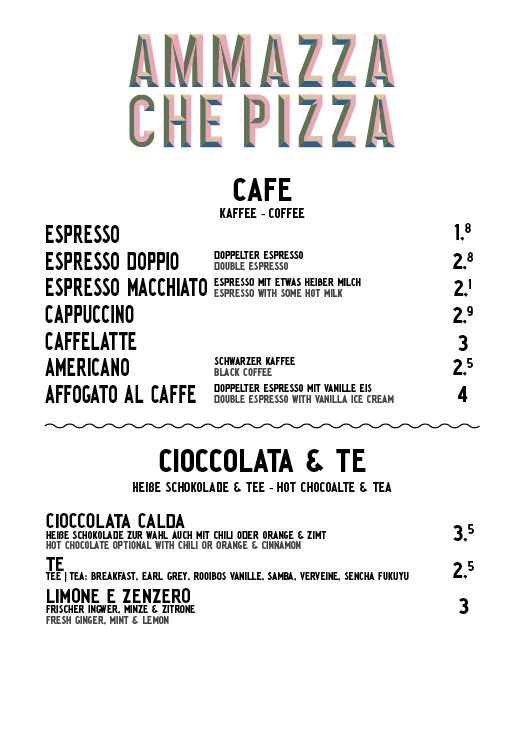 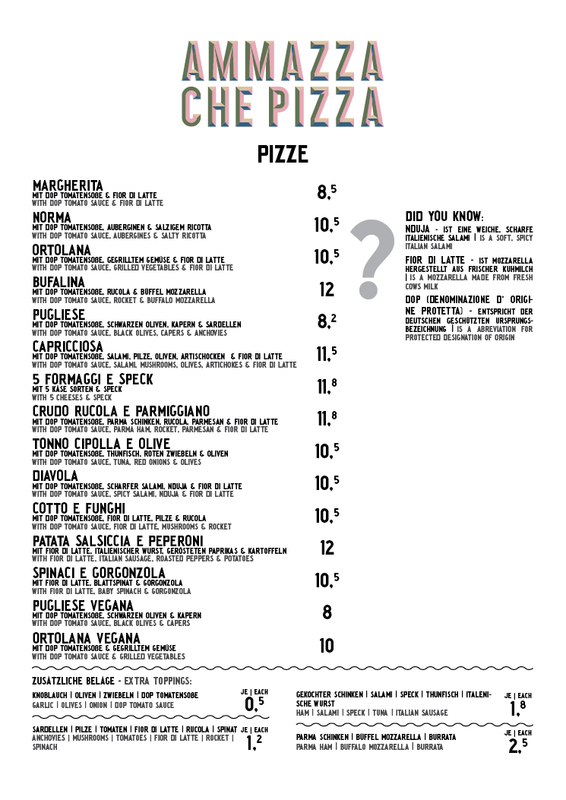 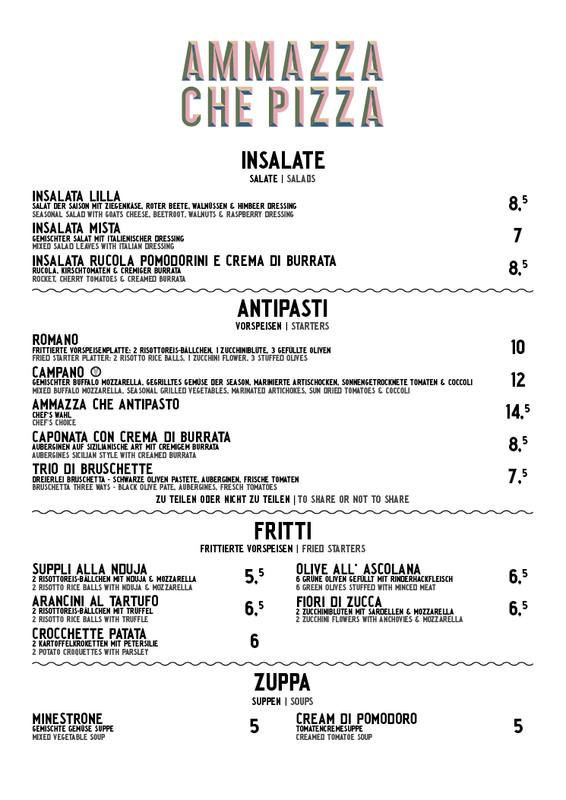 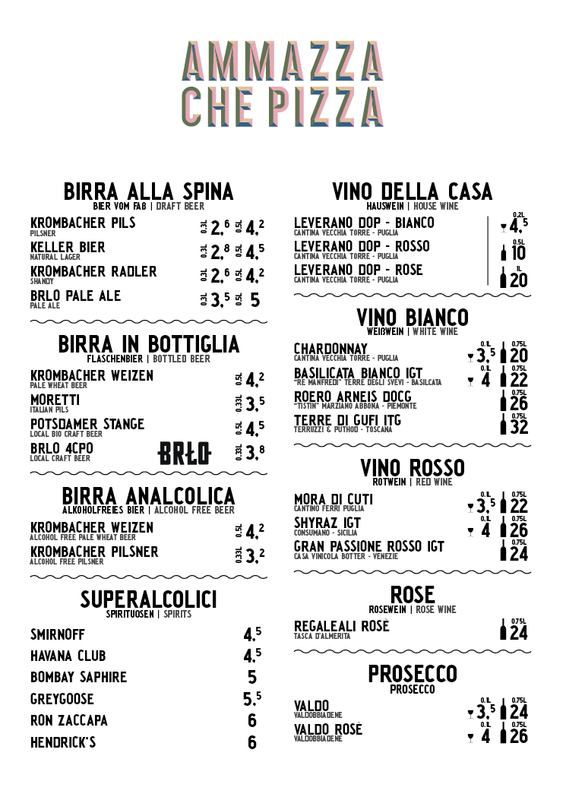 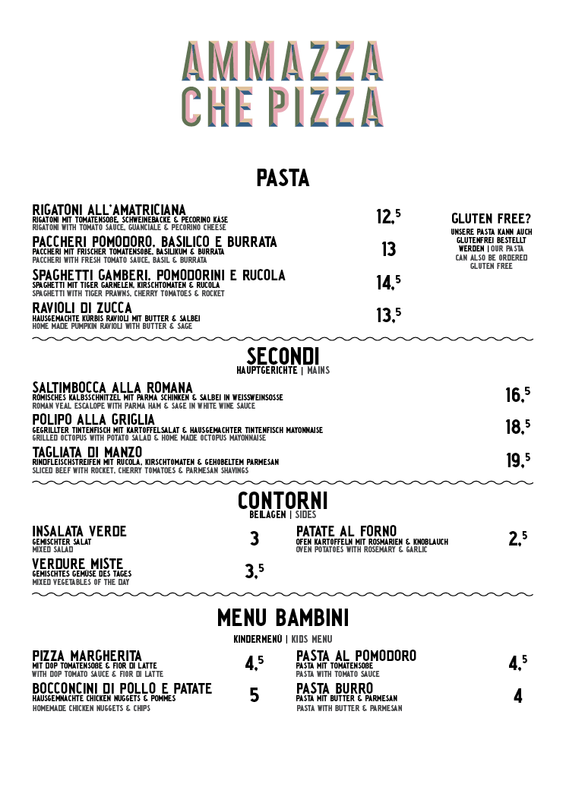 Ammazza che Pizza, modern, authentic Roman food brought to Berlin.